Discover how to countrify your home for the season. Try your hand at our DIY holiday ornaments, gift wrap and presents. 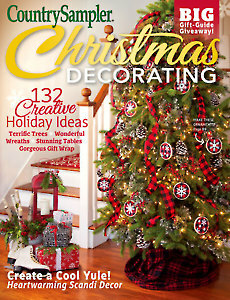 Learn creative ways to decorate with greenery, garlands and wreaths. LOE this issue every year! !